InterLause – Information and Discussion – Lause Lebt e.V. InterLause is an event series which aims to provide information and discussion about urban and local policy. The programme has been running in Lausitzer Straße 10 since Summer 2017. It’s accessible to all members of the community, helping people to share experiences and ideas and providing a place for various organisations and initiatives to meet. You wanna organize and event with us or have any questions? In recent years, a number of self-organised initiatives have sprung up in Berlin as part of the battle against gentrification. In many cases, they were created because residents, self-employed people, freelancers or small independent businesses had to fight against their eviction or displacement – such as when the Bizim Bakkal shop was told to leave its premises, or residents around Kottbusser Tor and the Otto Suhr Siedlung were confronted with huge rent increases. Exchange and networking, Die InterLause-Reihe ist Teil der Organisierung der Mieter*innen in der Kampagne Lausebleibt. Über die unmittelbare Aufmerksamkeit für die Situation der Lause hinaus geht es darum, in Kontakt und Austausch mit Initiativen aus der Nachbarschaft und stadtpolitisch Aktiven aus ganz Berlin zu kommen, um Wissen, Ideen Perspektiven und politische Strategien auszutauschen. Cities cannot be allowed to be understood as resources to be exploited by capital for the highest possible profit. The InterLause series is about contribution to a different kind of politics – one that sees the city as a collective, shared space that belongs to all, organised and developed by its residents themselves. The series asks: who has a right to the city? What is needed in terms of social and urban infrastructure to keep Berlin open, affordable and accessible to everyone? 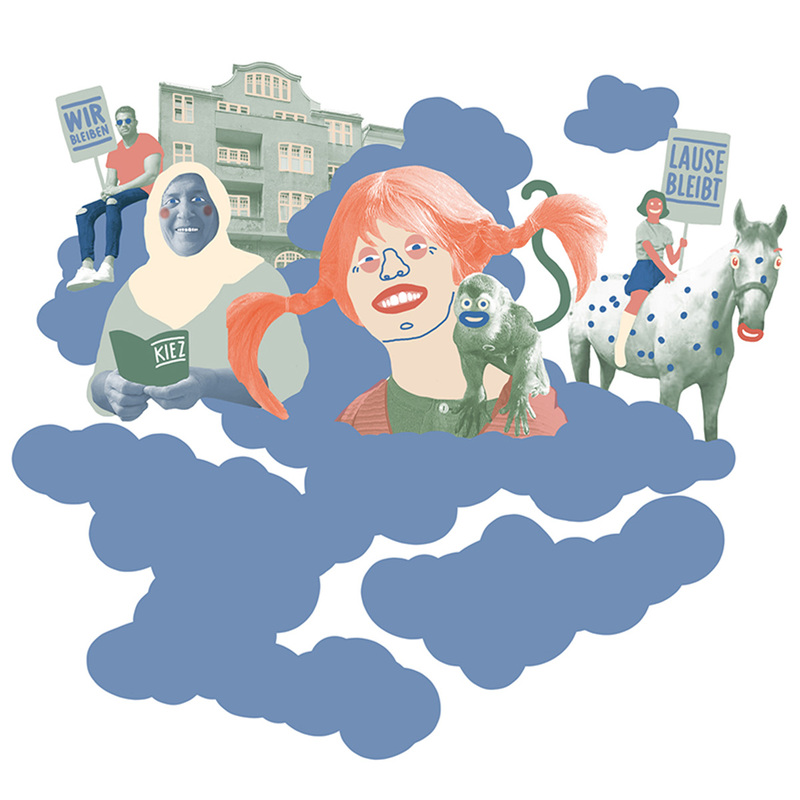 In defending themselves against gentrification, are there tangible alternatives (cooperatives, house projects, occupations, anti-eviction campaigns, self-organised forms of political protest) that the residents of Berlin want – or which they are already making a reality? How can local politics recognise power relations in terms of classism, racism, sexism, ableism and residency status – and work against these problems? How has the start-up economy affected the city of Berlin, what pace has this happened at – and who has been left behind? What can we learn from gentrification processes and local movements in other cities around the world? You can find information about the various events in the calendar, or in the archive.